The popular Garden Rocks Concert Series will expand to every day of the festival, featuring chart-topping artists performing three shows daily on the America Gardens Theatre stage. That’s 270 concerts – more than ever before – spanning multiple genres. Returning favorites like The Spinners and Herman’s Hermits starring Peter Noone will be joined by artists new to the festival like TobyMac, Steven Curtis Chapman, Eddie Palmieri and Colin Hay of Men at Work. Guests of all ages will enjoy a fun playground and garden located at Bo Peep’s Training Grounds presented by Toy Story 4, where Bo Peep will join topiaries inspired by her Toy Story pals Buzz & Woody. In celebration of Disneynature’s “Penguins,” opening April 17, a 9-foot-tall art sculpture made from recycled marine debris will be on display in Future World featuring adult and baby Adélie penguins. Created by the non-profit organization WashedAshore.org, this work of art is designed to inspire guests to keep the world’s oceans and waterways clear of plastic pollution. Among the returning gardens and exhibits, guests will once again enjoy the Goodness Garden Butterfly House presented by GoGo squeeZ, where nearly 1,000 native butterflies will fly among the garden’s two dozen nectar plants. Additionally, several World Showcase pavilions will include gardens with floral life representing plants from those countries, such as the Kokodema Garden and Bonsai Collection in Japan, the Urban Spice Garden in Morocco and the Alpine Container Garden in Germany. As festival-goers take in all these floral wonders, they will come across fine tastes to savor along their journey. In addition to the Outdoor Kitchens, raised-bed or in-ground gardens of herbs and produce will offer the perfect inspiration for learning to grow healthy ingredients. Several Epcot food-and-beverage locations – including Taste Track and Refreshment Port – will offer festival-themed eats and libations. 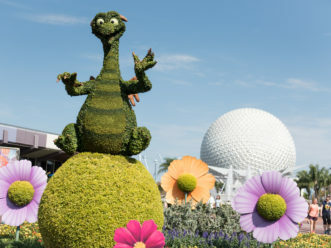 Additionally, guests can enjoy breakfast, lunch and dinner at 15 popular Epcot restaurants and guaranteed seating for a nightly concert with a Garden Rocks Dining Package. 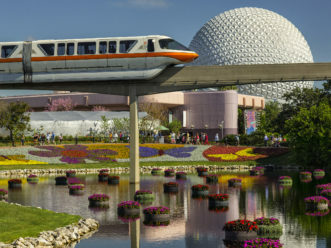 Dining packages are now booking at FreshEpcot.com or by calling (407) WDW-DINE. 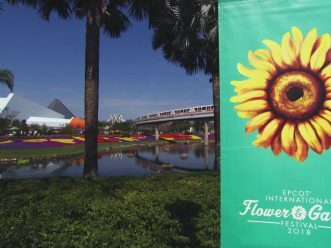 For more information about the 26th Epcot International Flower & Garden Festival, visit FreshEpcot.com or call (407) W-DISNEY. Additional details available at WDWNews.com. 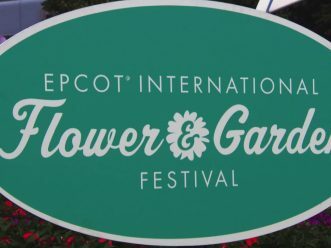 The festival, including all gardens and exhibits, is included in regular Epcot admission.